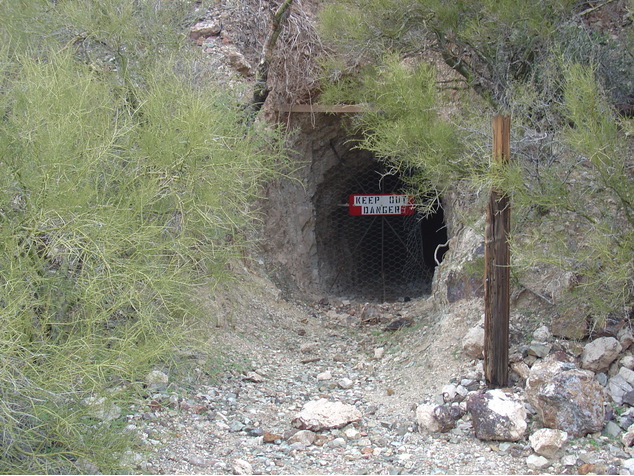 A former underground Pb-V-Cu mine. 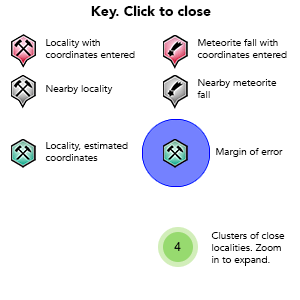 NOTE: Accurate coordinates obtained January, 2007 (adit portal). Additional names that apply to this mine are: Northwest workings; Southwest workings; D.H. claims; Kullman-McCool Mine. A "Barking Spider" in American slang is audible flatulence attributed to a mythical creature. 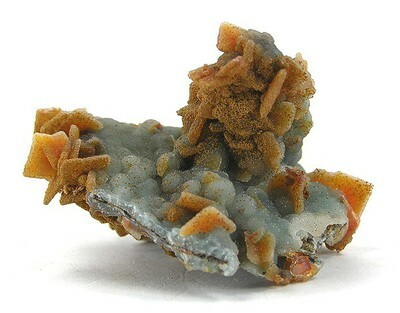 Reference: Anthony, J.W., et al (1995), Mineralogy of Arizona, 3rd.ed. : 164. 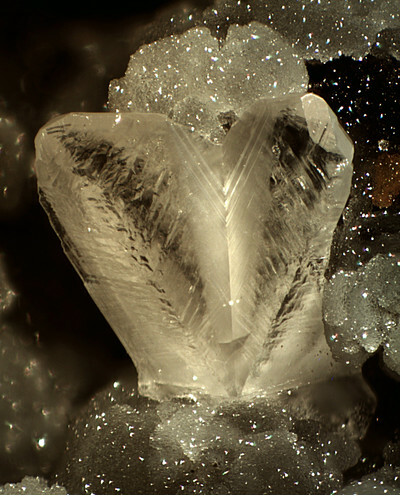 Description: Common as crystalline masses in the NE workings. 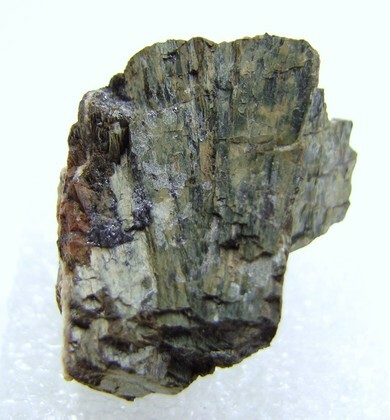 Reference: Anthony, J.W., et al (1995), Mineralogy of Arizona, 3rd.ed. : 135, 201. 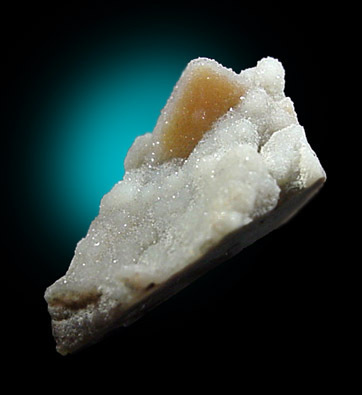 Reference: Anthony, J.W., et al (1995), Mineralogy of Arizona, 3rd.ed. : 270. 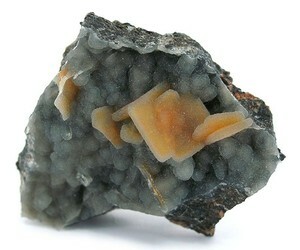 Description: Occurs in the NE workings as botryoidal masses. Reference: Anthony, J.W., et al (1995), Mineralogy of Arizona, 3rd.ed. : 248. Habit: Very small tabular & rosettes. 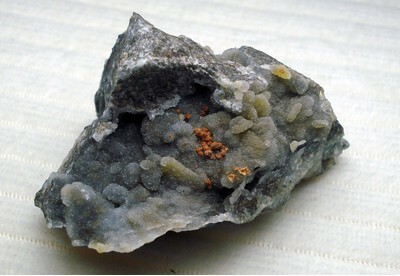 Description: Occurs in both the NE & SW workings as crystals & replacements of wulfenite. 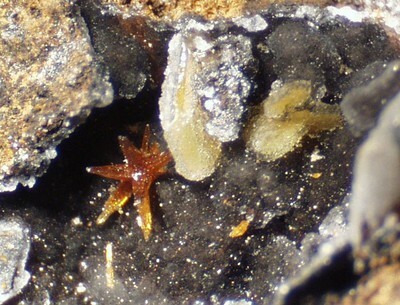 Reference: Anthony, J.W., et al (1995), Mineralogy of Arizona, 3rd.ed. : 410. Description: Occurs in the NE workings. 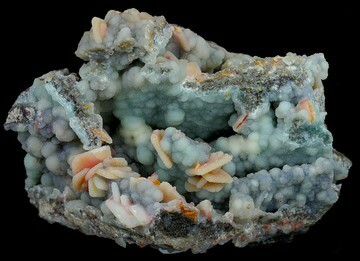 As crystals with many coated by hemimorphite & vanadinite. Reference: Anthony, J.W., et al (1995), Mineralogy of Arizona, 3rd.ed. : 248, 426. 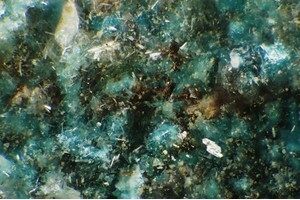 Anthony, J.W., et al (1995), Mineralogy of Arizona, 3rd. ed. : 135, 164, 201, 221, 248, 270, 410, 426. Smith, Kyle David (1995), The Finch Mine and Vicinity, Gila County, Arizona. 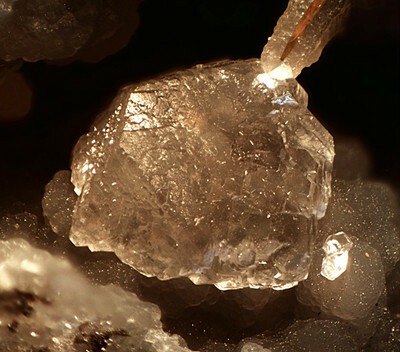 Mineralogical Record: 26: 439-448.